Abstract Browsing App has been released. May 16, 2018Advance Registration has been closed. May 10, 2018Program has been updated. April 13, 2018Information for Participants has been updated. April 05, 2018Instruction to chairs and Presenters has been updated. March 05, 2018Abstract Submisson (Poster, Poster Award) has been closed. February 26, 2018Abstract Submission (Young Scientist Award) has been closed. Abstract Submission, Registration have started. Call for oral presentations in workshops, Timetable have been updated. January 19, 2018Floor Map has been updated. January 09, 2018Nursery room has been updated. November 08, 2017Call for oral presentations in workshops has been updated. Young Scientist Award Poster Award, Exhibition / Advertisement / Luncheon Seminars have been updated. July 25, 2017Outline has been updated. June 15, 2017Official website has been opened. 6th Flr., Shin-osaka Grand Bldg. Electric Abstracts App is available for Smartphones and tablets devices. You can search abstracts’ titles, see abstracts list by time table and bookmark pages with this App. This App can be downloaded free at App Store or Google Play. * Password to browse abstracts is stated at the upper right of the contents page on the program abstracts booklet. 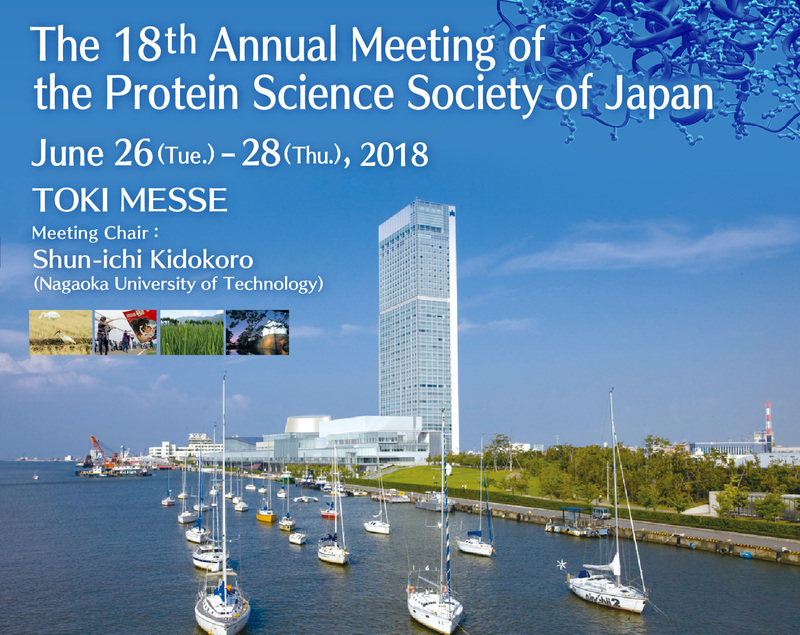 Copyright © The 18th Annual Meeting of the Protein Science Society of Japan. All Rights Reserved.